We are Britishraftteam.co.uk and we are the place to be for all things rafting. Rafting in England tends to be mainly at man-made rafting centres, but we can guide you through some of the best places to visit to get the most from your rafting experience. 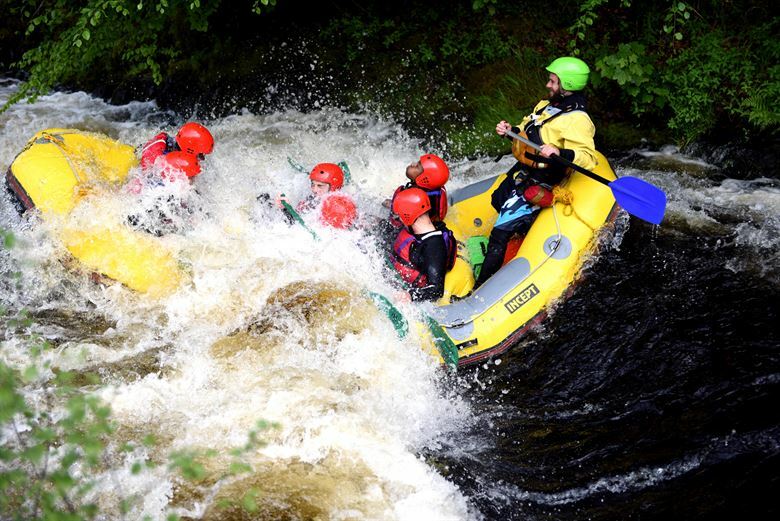 It doesn’t matter if you are brand new to rafting, you can find a centre that has fully trained and qualified instructors who can help you to learn how to raft safely. Some centres even run courses n how to build a raft and bush crafts, when you are going it alone, these skills could become useful. If you love rafting then you might want to consider training to be an instructor yourself, we have information on the sort of things you will learn on the course. There are different course levels too, depending on how much of a career you want to make of it. Level 1 is for trainee instructors, Level 2 qualifies you as a rafting instructor and level 3 qualifies you as a trip leader. Equipment is important when taking up rafting. It is possible that you can hire everything you need from the centre you are rafting at, but if you are doing it as a serious hobby then you might want to invest in your own equipment, this means you can raft anywhere you like, whenever you choose without worry of disappointment. Rafting is an exciting and adrenaline filled sport that is great for older children to adults. Many centres have a minimum age of 12, but this could vary so check in advance if you are rafting with children.